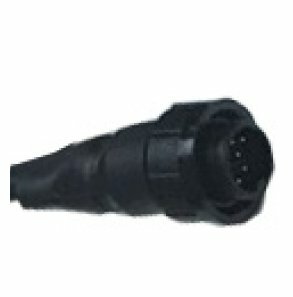 Compatible with Simrad and Lowrance units that have XSonic 9-Pin connector. Powerful, Yet Sensitive! The TM260 takes the legendary performance of the B260 to your vessel’s transom. 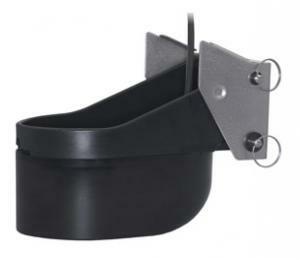 This top-of-the-line, broadband, transom-mount brings crystal clear imaging to any of today’s fishfinders. The large, 200 kHz element and the seven-element, 50 kHz array are excellent for bait and game fish separation along with detecting ground fish holding tight to the bottom. 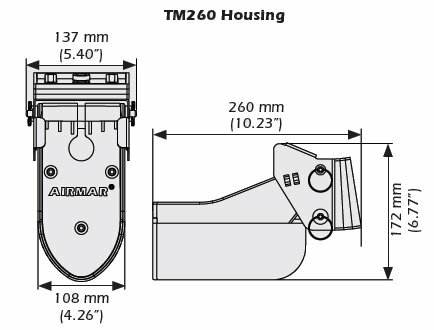 The TM260’s rugged mounting bracket is easy-to-install and has a streamlined shape that delivers high-speed performance up to 30 knots (35 MPH).